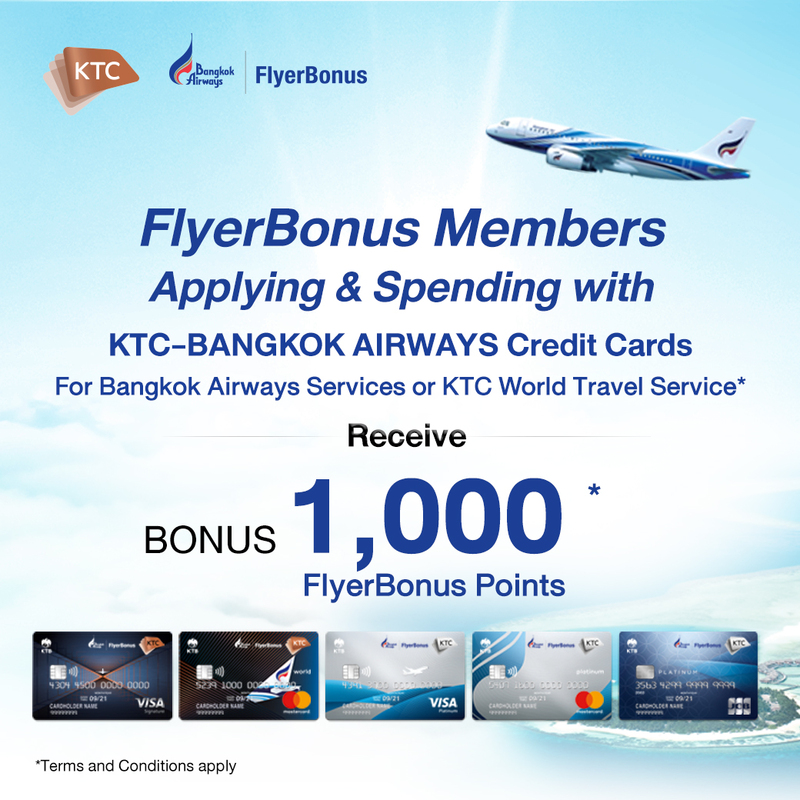 Newly approved KTC-BANGKOK AIRWAYS Credit Card members who spend with the Bangkok Airways or KTC World Travel Service for Bangkok Airways (within 90 Days after approval) receive a bonus of 1,000 FlyerBonus Points. This offer is for new KTC – BANGKOK AIRWAYS Credit Card applicants only. Newly approved Credit card members applying and spending with Bangkok Airways or KTC Travel Service for Bangkok Airways (within 90 days after approval) through KTC-BANGKOK AIRWAYS Credit Card will receive a bonus of 1,000 FlyerBonus points. Prizes are non-negotiable, non-transferable, non-refundable and cannot be exchanged for cash or kind. No cash alternative is available. Bonus points on offer will be credited to members' accounts within 15 working days after Bangkok Airways has received authentication from Krungthai Card PCL.